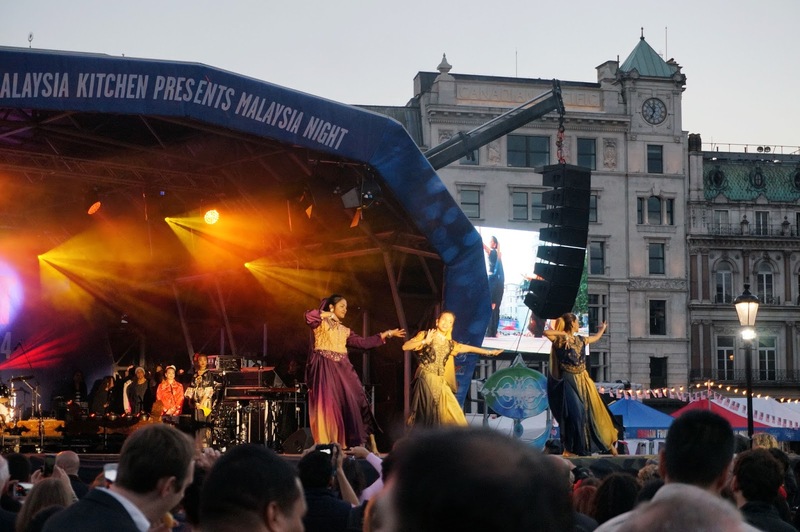 On 26th September, Trafalgar Square hosted Malaysia Night for the forth consecutive year. I first heard of MN in 2012, the year I went to Malaysia itself. In fact, I loved Malaysia so much on that trip, that I was eager to get a taste of it again, but for reasons I can't remember... I didn't end up going. 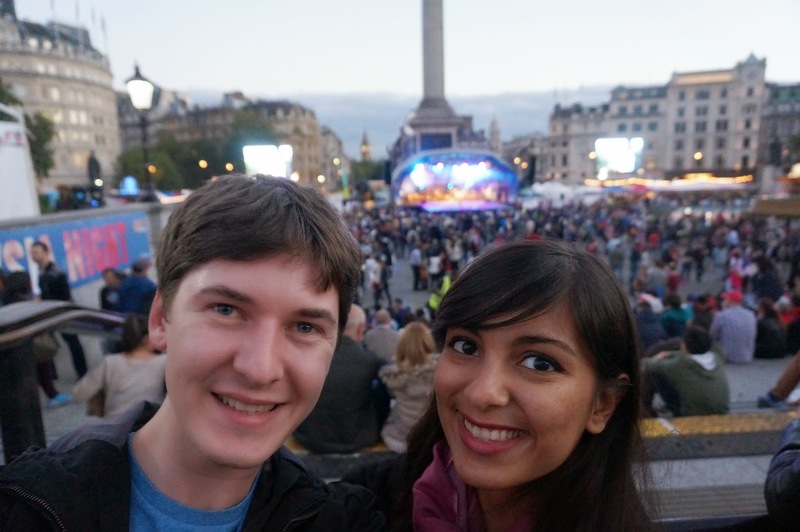 I soon forgot about this event, would have had the chance to go last year if I remembered, but I stumbled on it on the TIME London event section when I was looking for what to do for James' birthday this year. The best part of Malaysia is the food, hands down. Three different ethnic groups live side by side in Malaysia: The Malays, the (South) Indians and the Chinese. Having three cultures with deliciously famous cuisine means you'll never get tired of eating in the country. 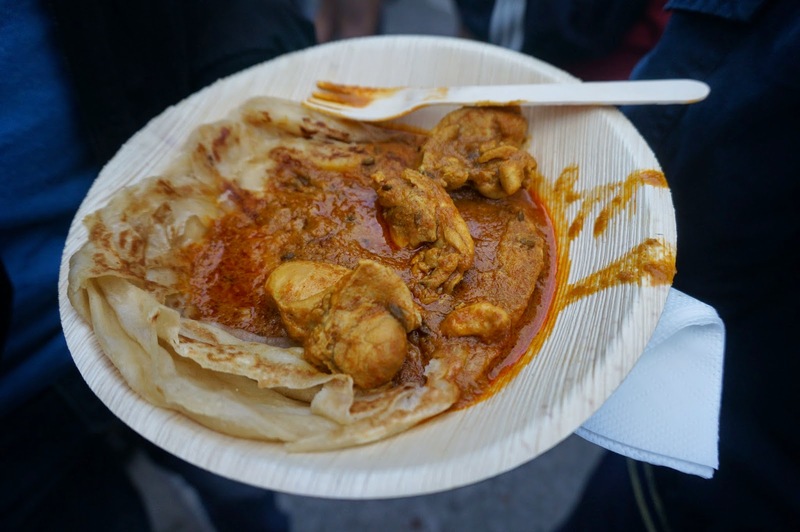 We started the day with roti canai, filled the day with assortments of noodle or rice dishes. One day we had char keow teow, another day it was Masala Dosas. 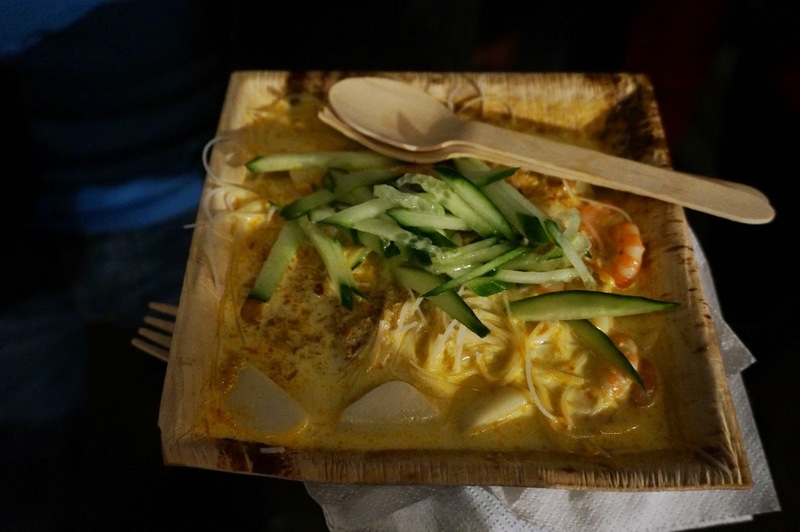 We tried Laksa, Singaporean Noodles and Rendang Beef. My stomach was always happy. I've only been to a Malaysian restaurant once after my trip in 2012, they're not so common in London. 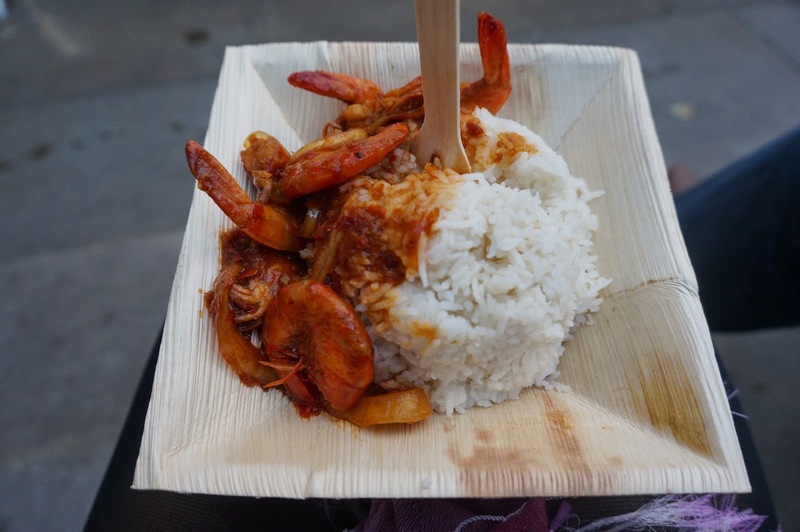 MN gives you a chance to try the best dishes from Malaysia while giving you a glimpse at what Malaysian restaurants are available. 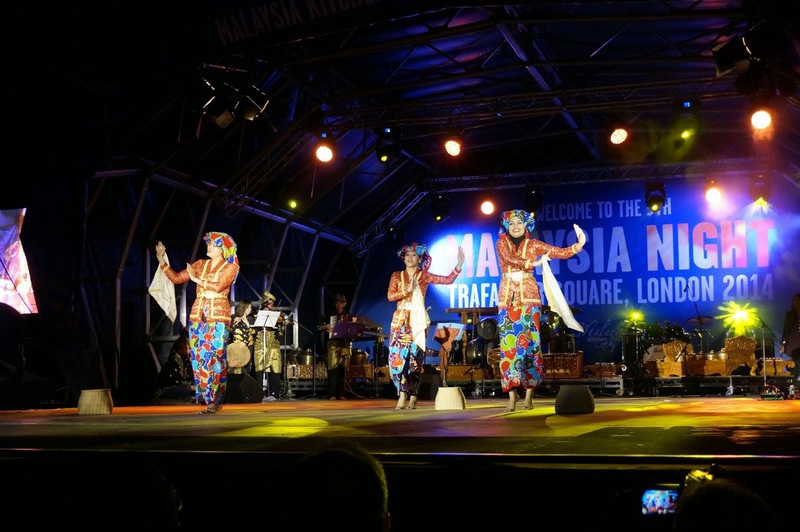 From Indian Bollywood moves, to Chinese dragon dance and performances of dikir barat, which is a type of Malaysian dance. 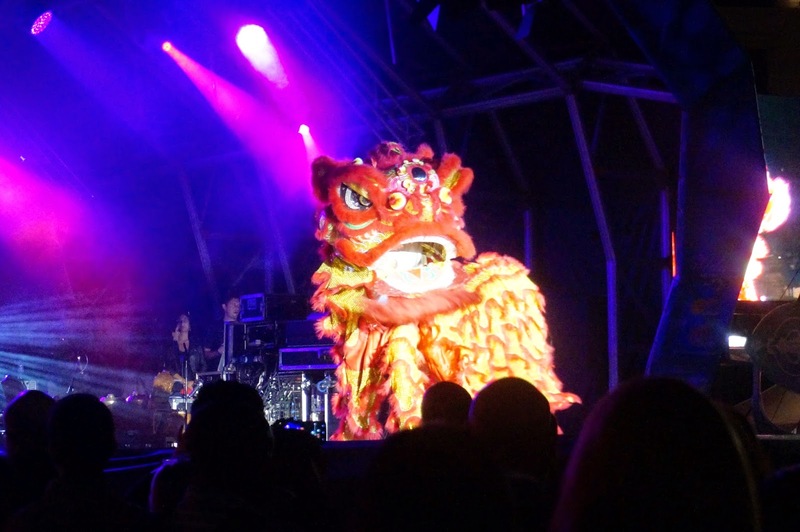 The performances weren't limited to just dancing, many solo singers and musicians took the stage as well. I won't lie that I enjoyed the "Whole New World" duet but my favourite would be the performance of "One Malaysia". The patriotism shown among the crowd was amazing, I had goosebumps! Okay, I admit I didn't stay long to watch Ping Coombes. 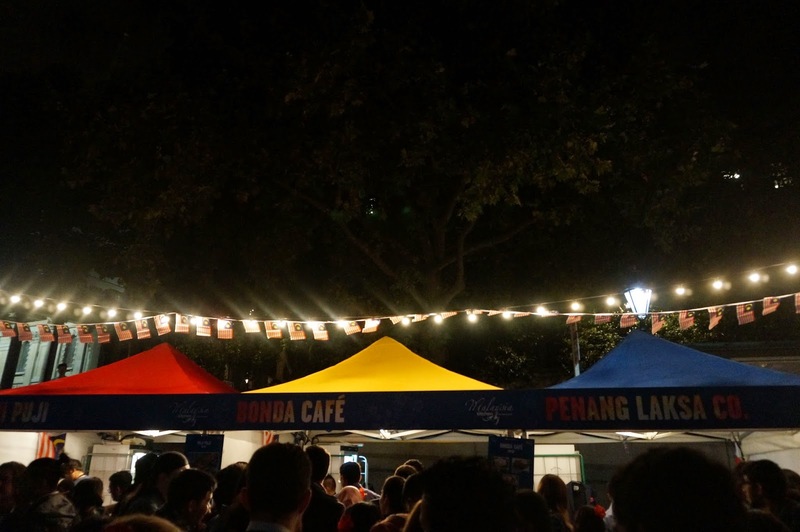 The stall was very busy (too many Malay food enthusiasts in the way) and the disadvantage of being short is that even if you are in the second row of a standing crowd, you can say zilch. However, if I had a convincing culinary skill, I would have been taking notes. Coombes won Master Chef for her Nasi Lemak, which I was surprised by as it seems like a relatively simple dish, but I don't doubt that her own twist that won the judges over. There were also interactive cooking lessons, which you would have been accompanied by with a chef's hat! 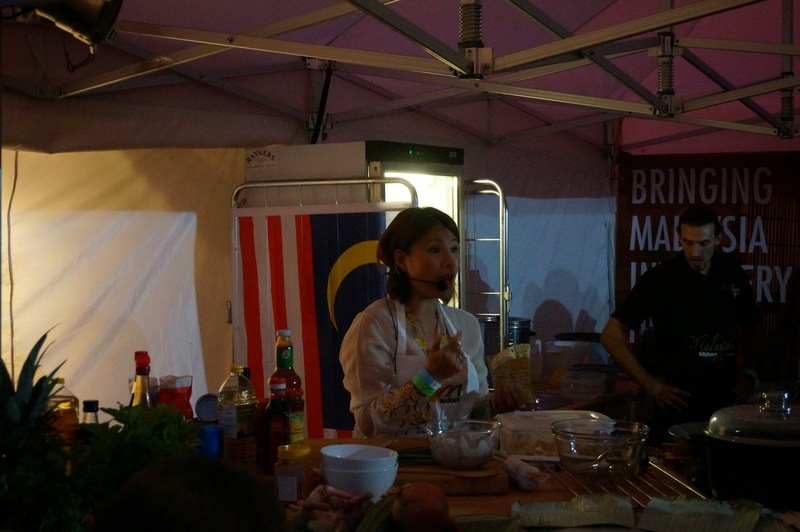 If that wasn't enough, there were little supermarkets set up so that you can take ingredients home so that you can master the art of Malaysian food in your own kitchen. 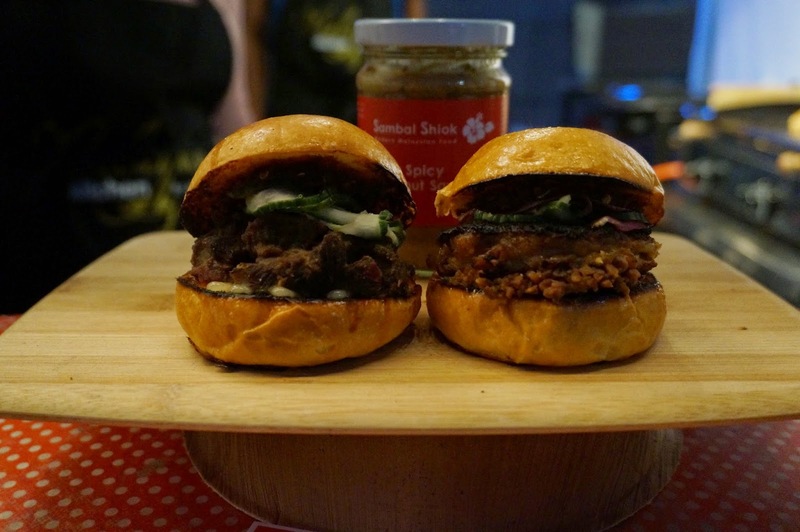 And if you're one of those people... there was even jackfruit and durian to take home with you (no, thank you). 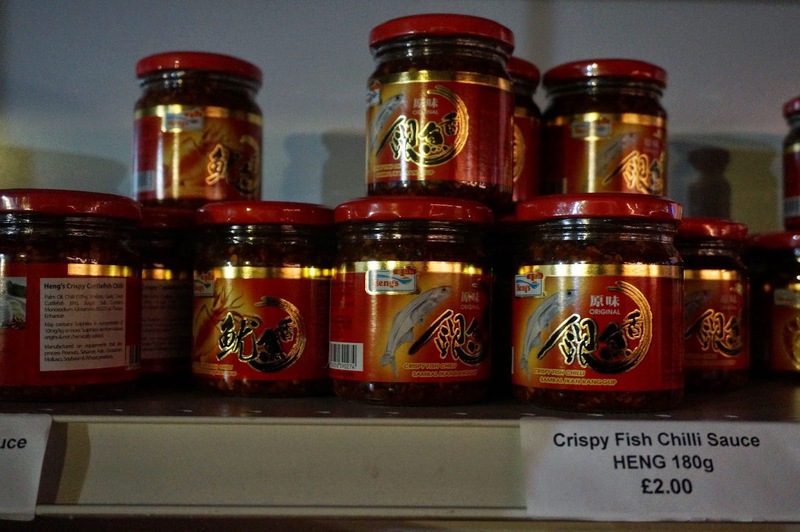 Frozen paratas, chilli oil and rendang paste... would have felt like I was back in a muslim coffee shop! I loved every minute of it and I can't wait til next year's event!